Have you got some food resolutions for the new year? Consider these five easy things you can do to rock your kitchen. Here you are at the start of a brand new year. There are 12 gloriously empty months ahead of you. What shall we do with you? You could just do what you’ve always done. Run yourself a little too ragged. Eat a little too much junk food. Feel just a little more anxiety than is healthy. Or… you can make some changes in how you manage your time, prep your food, and live your life. I know. You say you don’t “make resolutions”, but I’d like to challenge you on that. Last year, my daughter helped me see resolutions in a new light. Resolutions have a bad reputation, to be sure, but if you think about them as “solutions to problems that you need to address once again”, you’ll find that, yes, you need to make resolutions! And where else do we have problems than in the kitchen? Money is tight. Time is at a minimum. And yet people are still hungry/hangry. I’m going to wager that everyone could stand to make a few food resolutions. The work you do in your kitchen has a huge impact on the rest of your life. You can start the day with a hearty breakfast that helps you get through the morning without grumping too much or overeating at lunchtime. You can plan for dinner in advance so that you’re not stuck in the checkout line at 6 pm when you’d much rather be home eating. 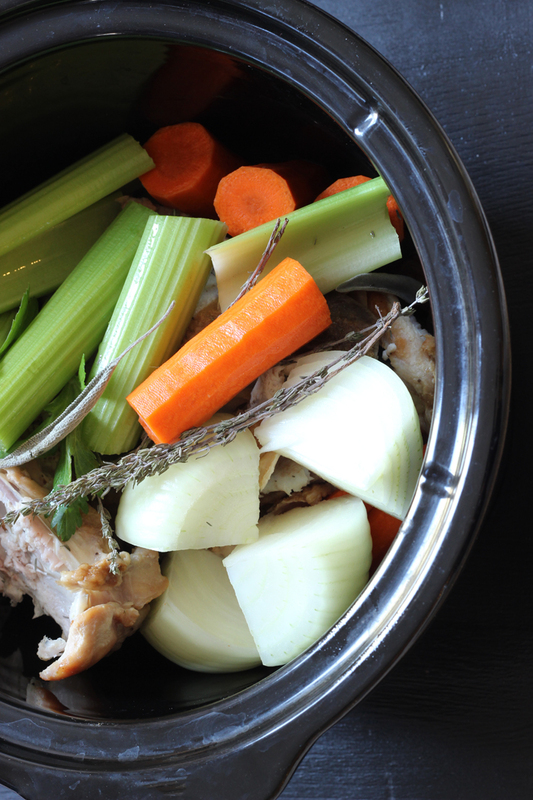 You can fill the crockpot in the morning so that supper is ready when you are. These are all solutions to problems you’ve already encountered in life. Why not embrace them? Think about what you would like to change about how you make dinner? how you shop? how you plan? 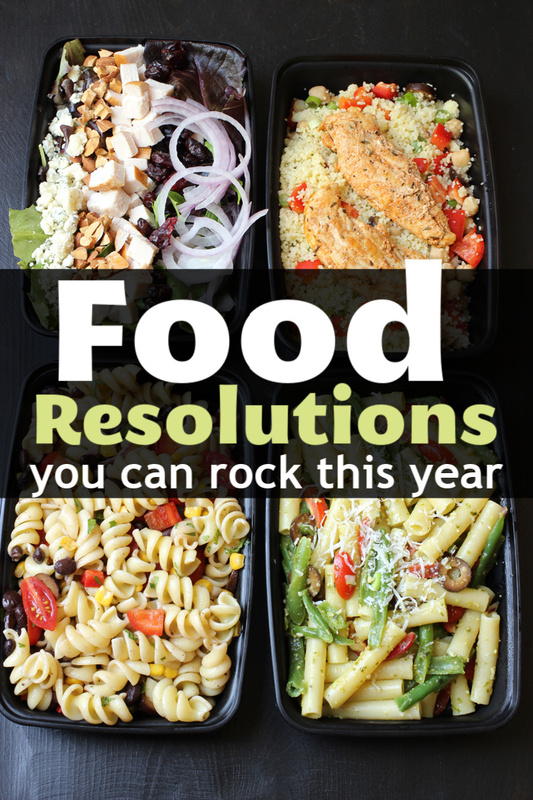 Commit to these food resolutions and solve some problems! 1. Use up what’s cluttering up your pantry. Bought too many Asian noodles on a big sale? Gramma give you her surplus of canned goods? Find that you can’t find a cotton-pickin’ thing in the cupboards because they’re too jam-packed? A Pantry Challenge is a great way to use up what you have at the same time as decluttering your kitchen. You’ll offset your grocery costs since you’re not buying more and you’ll give yourself some breathing room. Our family’s Pantry Challenge started this week. Want to learn more? Check out these pantry challenge how-to’s. I’d love to have some company on this food resolution! 2. Learn to meal plan in advance. 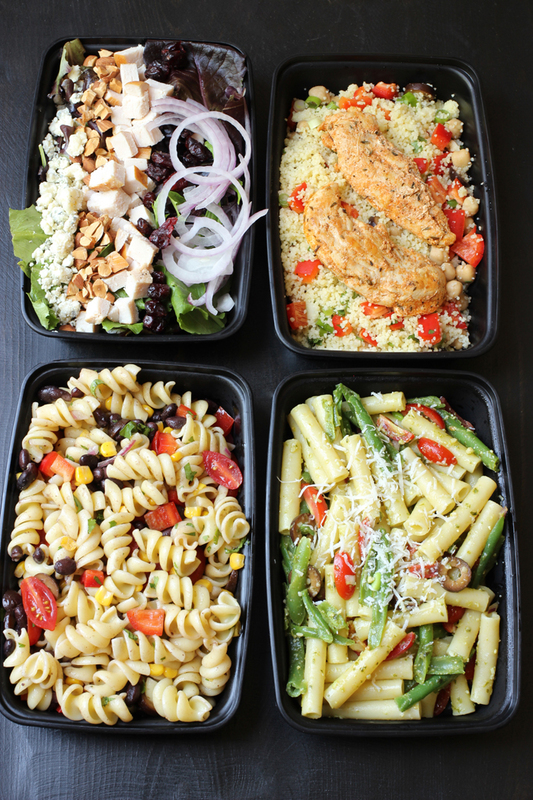 Meal planning isn’t rocket science. Everyone does it. It’s just a question of how far in advance they make their decisions as to what they’re going to eat. Do you meal plan a month at a time, a week, or do you decide on the spot what to fix? The beauty of advance meal planning is that you have a chance to save some money and time. You can shop your pantry (see Food Resolution #1), prep foods in advance, and avoid take-out because you’re just too tired to fix something when you get home. 3. Stick to a grocery budget. It’s really not so bad. A budget can be your friend. It can help you get free from debts, travel the world, and eat super well — without feeling guilty that you might be spending too much money. When we were more than $15,000 in consumer debt, we made the choice to stick to a grocery budget. By spending the bare minimum each month ($400 to feed 7 people), we were able to divert up to $1000 each month toward paying down our debt. 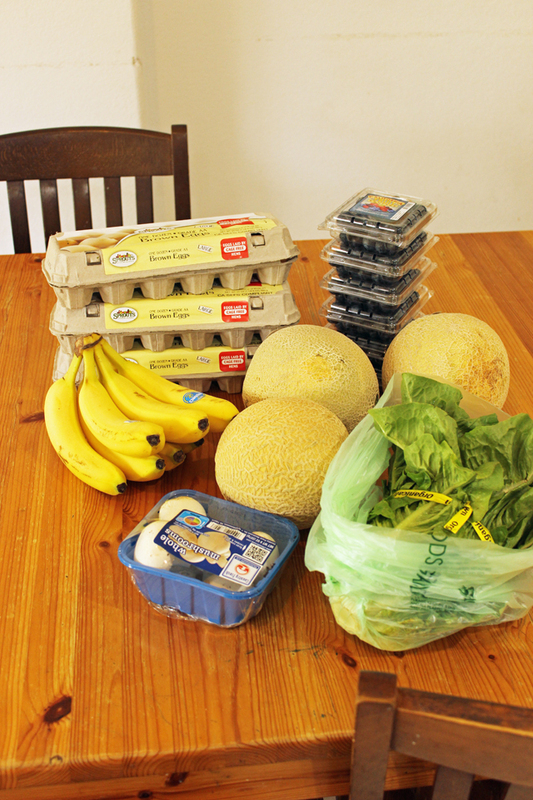 My grocery budget helped us get out of debt. You don’t need to get so drastic with your budgeting, but know that there is lots of wiggle room where food spending is concerned. By adjusting where you shop and what you buy, you can make a huge difference in your bottom line. 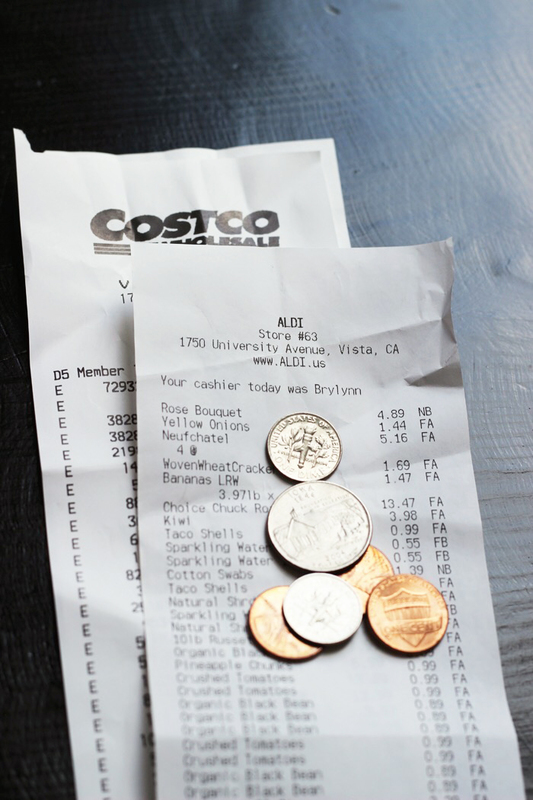 Be sure to read –> Just How Much Should You Spend on Groceries? to get started. 4. Master a new cooking technique. Have you always wanted to know how to make curry? Bake a souffle? Make tamales? Let this be the year that you master a new skill in the kitchen! In 2018 I learned how to make artisan sourdough bread without commercial yeast. It took some trial and error, and at one point my family wondered if that gallon jug of starter oozing on the counter had become a new member of the family, but I did it. Now I can bake a bakery-quality loaf for about a buck’s worth of ingredients. Living like kings on a dime! Along the way, my husband has perfected grilling sourdough pizza on the BBQ and my daughter’s sourdough crumpet game is strong. We’re looking to expand our sourdough skills this year into pastries and the perfect hamburger bun. Learning something new in the kitchen is not only horizon-broadening and money-saving, but it can also becoming a uniting force within your household. Consider a new kitchen skill to add to your food resolutions this year and have fun with it! 5. Get excited about your kitchen! That’s one of life’s basic truths. And you probably are responsible for procuring said edibles. This is adulthood. There are no kitchen fairies who come do the work for you. Even if you have the resources to delegate kitchen tasks, you still have to be organized enough to plan and direct. Embrace the beautiful mess of planning, cooking, and cleaning in your kitchen! Take the responsibility to be more organized so that you can eat well and reach the goals you have. When you’re on your game in the kitchen, you will save time, money, and maybe even a few calories! Now those food resolutions solve more than a few problems! 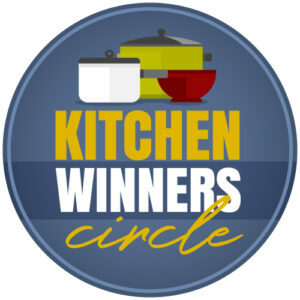 Find help to rock your food resolutions: Join the Kitchen Winners Circle! The Kitchen Winners Circle is an online community where you can connect with fellow home cooks, learn new strategies and skills, and get cooking in ways that help you reach your goals. Kelly is moving into a new home, so she’s going to be cleaning out her freezers and refrigerators so that the move is easier. Suzy is going to start cooking all meals at home in order to make them healthier and more affordable. Angie is working out a better routine for weekly meal planning, shopping, and food prep so that she can save time as well as money. Be a Kitchen Winner this year! When you join the Kitchen Winners Circle, not only will you find accountability for your personal goals in the kitchen, but you’ll also have ready access to a digital resource library, live monthly master classes and coaching calls, weekly done-for-you meal plans, and a monthly cooking club. With so much at your disposal to help you win in the kitchen, you surely can’t lose! I’d love for you to join us, either for a few months or for the whole year. We’ll knock those food resolutions out of the park! Oh we love sourdough pancakes and waffles here!! So, so good! !